Draft: 2012, New York Mets, 14th rd. Christopher Flexen graduated from Newark Memorial High School (CA) in 2012...Played four years of baseball and was a quarterback on the football team for two years...Was committed to Arizona State before signing with the Mets. Underwent right knee surgery (medial meniscectomy) on August 17 at the Hospital for Special Surgery...Mets Medical Director Dr. David Altchek performed the procedure...Recalled from Las Vegas (AAA) of the Pacific Coast League on May 19...Optioned to Las Vegas on May 27...Also with the Mets from June 20-22, June 24-25 and July 8-9...Was 0-1 with a 10.80 ERA (four earned runs/3.1 innings) in three relief outings...Made one start, July 8 vs. Tampa Bay...Allowed five earned runs over 3.0 innings...Was 6-7 with a 4.40 ERA (45 earned runs/92.0 innings) in 18 games, 17 starts for Las Vegas. Was recalled from Binghamton (AA) of the Eastern League on July 27 and went 3-6 with a 7.88 ERA (42 earned runs/48.0 innings) in 14 games, nine starts with the Mets...Made his major league debut on July 27 at San Diego... Suffered the loss in his first career start, allowing four runs (three earned) on five hits in 3.0 innings...Was the first Met to make his major league debut coming straight from Double-A since Michael Conforto did so in 2015...Is the first Mets starting pitcher to do so since righthanded pitcher Mike Pelfrey on July 8, 2006 vs. Florida...Was 3-5 with a 7.78 ERA (36 earned runs/41.2 innings) in nine starts...Walked 29 and struck out 28 in that time...Allowed 10 home runs in his 41.2 innings pitched as a starter...Five of his last six outings came out of the bullpen...Was 0-1 with a 8.53 ERA (six earned runs/6.1 innings pitched) in those five outings...On August 8 vs. Texas, he collected his first major league win and his first major league hit...Combined to make 10 starts with both St. Lucie (A) of the Florida State League and Binghamton (AA)...Was 6-1 with a 1.76 ERA (12 earned runs/61.1 innings pitched)...Struck out 63 and walked 10, good for a 6.3 strikeout-to-walk ratio...Was 6-1 with a 1.66 ERA (nine earned runs/48.2 innings) in seven starts for Binghamton...Was named the Eastern League Pitcher of the Week for the week of July 10-16. Went 10-9 with a 3.56 ERA (53 earned runs/134.0 innings) in 25 games, all starts, with St. Lucie (A) of the Florida State League...Posted a 2.45 ERA (nine earned runs/33.0 innings) in six starts during June...Worked a career-high 134.0 innings...Led St. Lucie in starts (25) and was second on the team in strikeouts (95)...Opposing batters hit .249 (125-502) off him in 2016 with both lefthanded batters and righthanded batters hitting .249...Tossed a season-high 8.0 shutout innings on June 20 at Palm Beach...Also worked 7.2 innings of one-run ball on April 27 at Charlotte...Worked 13.0 scoreless innings across two starts (May 26 vs. Charlotte and June 2 at Fort Myers)...Threw 10.0 scoreless innings over his final two starts of the regular season. (August 25 vs. Charlotte and September 1 at Jupiter)...Started Game 1 of the Florida State League South Division Playoffs. Pitched in 12 games (nine starts) after recovering from Tommy John surgery...Went a combined 4-2 with a 2.42 ERA (14 earned runs/52.0 innings) between the GCL Mets (R), Brooklyn (A) of the New York-Penn League and Savannah (A) of the South Atlantic League. 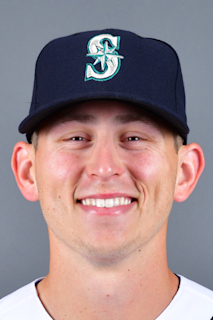 Made 13 starts for Savannah (A) of the South Atlantic League...Was 3-5 with a 4.83 ERA (37 earned runs/69.0 innings) in those 13 starts...Placed on the 7-Day Disabled List on July 1 with right triceps inflammation...Underwent Tommy John surgery in July. Led the Appalachian League in wins (eight), complete games (two) and shutouts (two). April 21, 2019 New York Mets optioned RHP Chris Flexen to Syracuse Mets. April 20, 2019 New York Mets recalled RHP Chris Flexen from Syracuse Mets. March 5, 2019 New York Mets optioned RHP Chris Flexen to Syracuse Mets. October 2, 2018 New York Mets recalled Chris Flexen from Syracuse Chiefs. August 3, 2018 Chris Flexen roster status changed by Las Vegas 51s. July 9, 2018 New York Mets optioned RHP Chris Flexen to Las Vegas 51s. July 8, 2018 New York Mets recalled Chris Flexen from Las Vegas 51s. June 25, 2018 New York Mets optioned RHP Chris Flexen to Las Vegas 51s. June 24, 2018 New York Mets recalled Chris Flexen from Las Vegas 51s. June 22, 2018 New York Mets optioned RHP Chris Flexen to Las Vegas 51s. June 20, 2018 New York Mets recalled Chris Flexen from Las Vegas 51s. May 27, 2018 New York Mets optioned RHP Chris Flexen to Las Vegas 51s. May 19, 2018 New York Mets recalled Chris Flexen from Las Vegas 51s. April 3, 2018 RHP Chris Flexen assigned to Las Vegas 51s from Binghamton Rumble Ponies. March 14, 2018 New York Mets optioned RHP Chris Flexen to Binghamton Rumble Ponies. July 27, 2017 New York Mets recalled Chris Flexen from Binghamton Rumble Ponies. June 29, 2017 Binghamton Rumble Ponies activated RHP Chris Flexen from the 7-day disabled list. June 22, 2017 Binghamton Rumble Ponies placed RHP Chris Flexen on the 7-day disabled list retroactive to June 20, 2017. May 31, 2017 RHP Chris Flexen assigned to Binghamton Rumble Ponies from St. Lucie Mets. May 17, 2017 St. Lucie Mets activated RHP Chris Flexen from the 7-day disabled list. April 6, 2017 St. Lucie Mets placed RHP Chris Flexen on the 7-day disabled list. March 14, 2017 New York Mets optioned RHP Chris Flexen to St. Lucie Mets. November 18, 2016 New York Mets selected the contract of Chris Flexen from St. Lucie Mets. August 2, 2015 Chris Flexen assigned to Savannah Sand Gnats from Brooklyn Cyclones. July 16, 2015 RHP Chris Flexen assigned to Brooklyn Cyclones from Savannah Sand Gnats. July 4, 2015 Savannah Sand Gnats sent RHP Chris Flexen on a rehab assignment to GCL Mets. June 24, 2015 RHP Chris Flexen assigned to GCL Mets. April 8, 2015 Savannah Sand Gnats placed RHP Chris Flexen on the 7-day disabled list. September 23, 2014 Savannah Sand Gnats activated RHP Chris Flexen from the 7-day disabled list. July 1, 2014 Savannah Sand Gnats placed RHP Chris Flexen on the 7-day disabled list. Right triceps inflammation. March 30, 2014 RHP Chris Flexen assigned to Savannah Sand Gnats from Kingsport Mets. July 14, 2012 RHP Chris Flexen assigned to Kingsport Mets. June 22, 2012 New York Mets signed RHP Chris Flexen.